I always feel cooped up on bank holidays. We had one ray of sunshine this morning and I was off like a rocket. Washing out, coat on, belly rumbling - we set off for Rivington Hall Barn. Nobody round here actually calls it that. Generations of folk from these parts have referred to it as Rivi Barn; the big barn and the little one, as the site is actually split in two. There is Rivington Hall which looks more like a stately home, then behind that is the Hall Barn (big barn). Then down the drive and across the road is the Great House Barn (little barn). 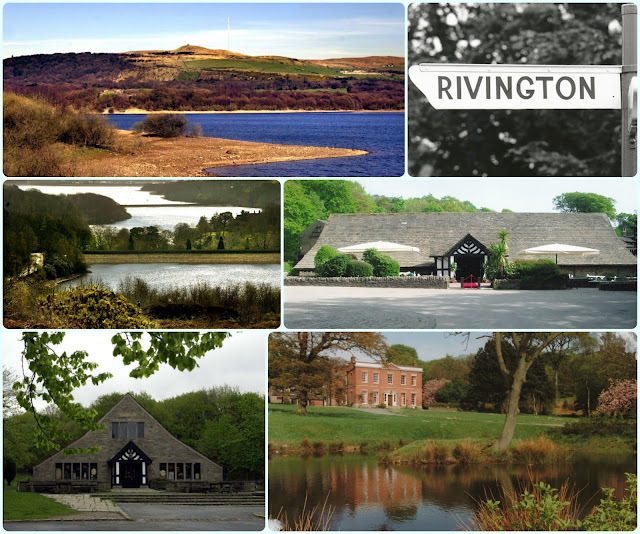 We are incredibly lucky to have Rivington on our doorstep, but this place is no secret. The barns are rammed nearly every day of the year because it's the perfect base for walkers, day trippers and bikers. The site is teaming with history too. The barns are grade two listed and date back to the twelfth century. In the early 1900s a local legend by the name of William Lever renovated the site along with the creation of his terraced gardens around his Roynton estate. He was quite an extravagant chap, introducing zebras, Japanese pergolas and carving waterfalls into the landscape of Rivington. He commissioned a replica of Liverpool Castle for the reservoir edge and built the famous Pigeon Tower for his wife. Anyway, enough about my obsession with Lord Leverhulme! We arrived at about 12pm and there were already cars everywhere. Do not be put off by this! Many have just parked up whilst they go walking. We decided on a dual focused trip. 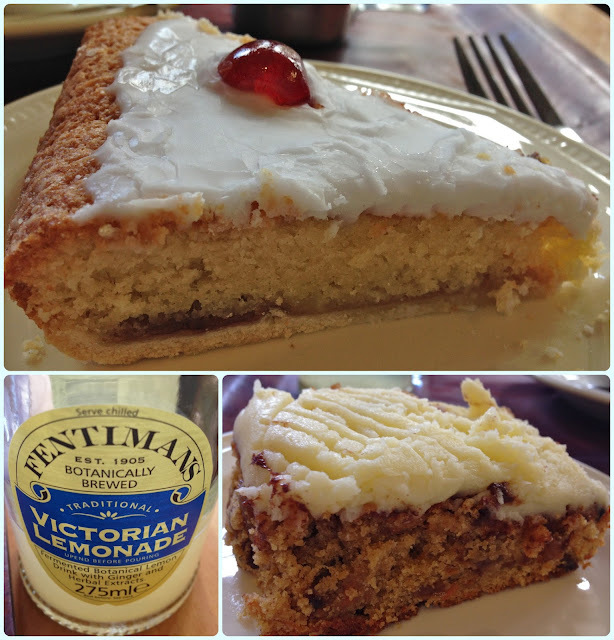 We went to the Hall Barn for a roast, then we planned to pop to the Great House Barn Tea Room for cake afterwards. Food in the Hall Barn is a very relaxed affair. It's a carvery type set up, but more like a really big cafe with a bar. You get a tray, go and pick your food, pay, then sit down and enjoy. What you get in exchange is well cooked homely food in a laid back atmosphere. We both had the turkey, which was fabulous. 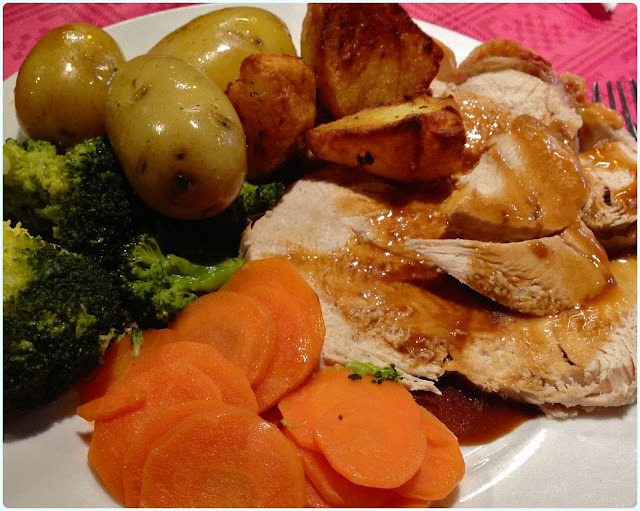 Moist turkey, well cooked vegetables and crispy roasties. Simplicity at its best. Before the lethargy set in, we had a walk down the drive to the Great House Barn. You'll be greeted by lots of eager dogs and folk on motorbikes! Our cakes were fantastic! The only reason I didn't bring more home with me is because it gives me an excuse to go back. Both barns are the perfect venues for a good feed after a nice walk in the hills. If you're a bit of a history geek like me, I recommend you find yourself a copy of 'Leverhulme's Rivington' by M. D. Smith to learn all about the area. You can even point out bits of what's left as you walk around.